‘Big Bang Theory’ Season 11 Premiere: Sheldon Gets His Proposal Answer — Plus, Pregnancy Bombshell! Mr. and Mrs. Cooper! Sheldon Cooper (Jim Parsons) and Amy Fowler (Mayim Bialik) are finally engaged. During the Big Bang Theory season 11 premiere, Sheldon got his answer — only after interrupting his own proposal to take a call from Leonard (Johnny Galecki) and Penny (Kaley Cuoco). Showrunner Steve Holland opened up about the big moment — and the wedding — during an interview with The Hollywood Reporter. Sheldon Cooper,Jim Parsons, and Amy Farrah Fowler, Mayim Bialik. Michael Yarish/Warner Bros. Entertainment Inc.
TONIGHT! Season 11 @bigbangtheory_cbs premiere 8pm ? #BTS #kaleyspolaroids ?? don't miss it!! Ahead of the premiere, costar Cuoco shared an Instagram photo of the cast touching Raunch’s growing baby bump on set. 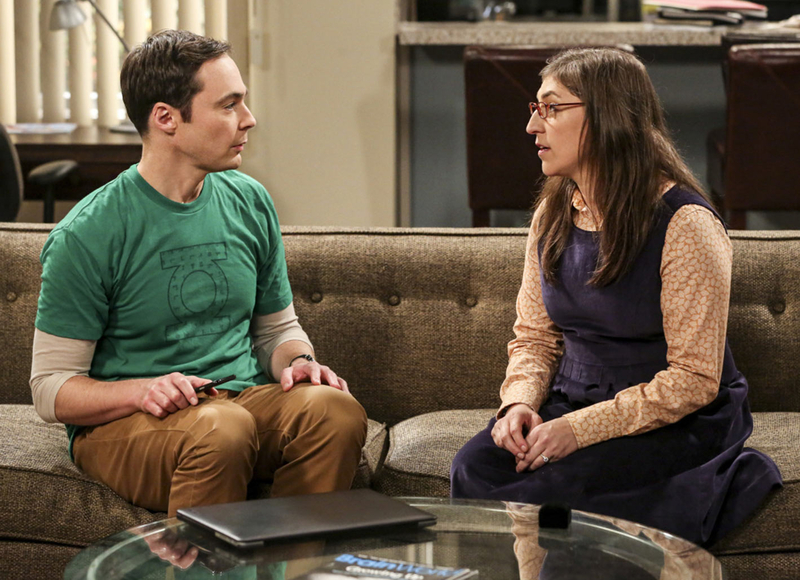 The Big Bang Theory airs Mondays on CBS at 8 p.m. ET.